This variant was exclusively available in Japan so far, but the golden Nexus 6P will reach both the US and India this week. Google unleashed the Huawei-made Nexus 6P back in September, but the gold variant has been available officially only in Japan so far. Fortunately, things are changing just in time for the holiday shopping season, as India and the US both get this color option these days. The 5.7-inch Nexus 6P is powered by a Qualcomm Snapdragon 810 SoC with Adreno 430 graphics, has 3 GB RAM and 32 GB, 64 GB, or 128 GB internal storage. The front camera has 8 MP, while the dual LED, laser autofocus image snapper on the back has a 12.3 MP sensor. It ships loaded with Android 6.0 Marshmallow and has a full set of connectivity features, including Bluetooth 4.2, NFC, GPS with A-GPS and GLONASS, as well as a fingerprint reader. 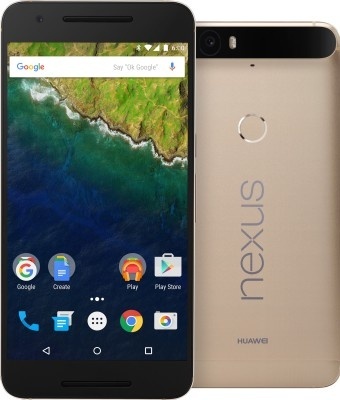 In India, the 64 GB gold Nexus 6P can be pre-ordered for roughly $665 USD from local retailer Flipkart. Best Buy currently has the 64 GB aluminum version listed for $499.99 USD and the gold one should become available in a few days as well. Best Buy is known for selling exclusive colors of various handsets, so having the gold Nexus 6P would not be a surprise. We will probably hear about it happening in a day or two, so stay tuned.